These Pictures Of Celebrities Recreated By Celeste Barber Will Make You ROFL Real Hard! Try not to laugh challenge! 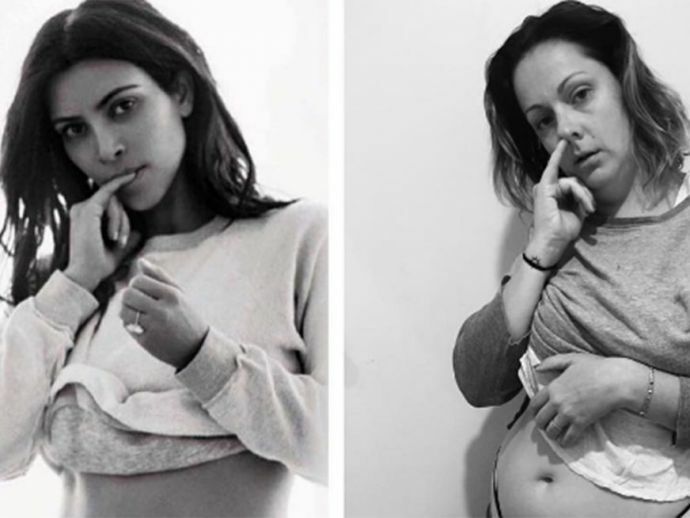 An Australian writer, actor and comedian Celeste Barber recreated the pictures of celebrities and become internet’s new thing! In January 2015 , she started the challenge #celestechallengeaccepted and thus started her journey towards becoming a globsl success with 1.4 millions followers on instagram. Vinam Pachkhede is a history and psychology student. An amateur writer, she is currently associated with Reacho and contributes as a content writer. She is a great fan of stand-up comedy. Also a Foodie, Potterhead, Cumberbitch and Marathi Mulgi.